welcome back to three on thursday, a post of my weekly (and all time) top three favorites. this week we're all about halloween of course! it's my favorite holiday of the year, actually. 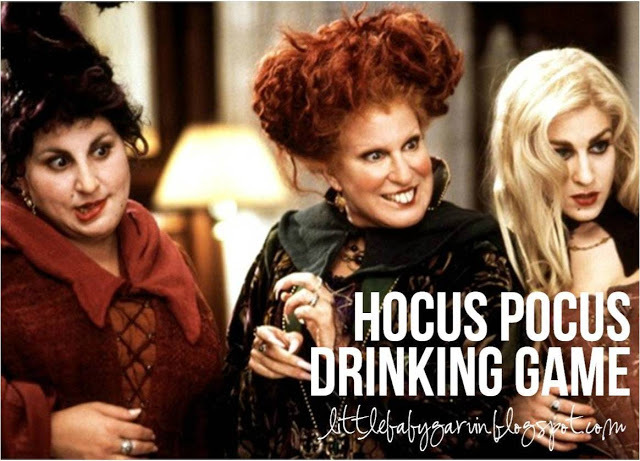 1. hocus pocus drinking game. i've mentioned this before, probably around this time last year. but it is my mission to share it with the world. let's be honest - you're going to watch this movie. we all do it, every year. it's a classic! make it more entertaining with this themed drinking game. 2. halloween makeup tutorials. there's so many good ones but i've been loving the series by shaaanxo. especially this mermaid one! though her creepy, gory ones really speak to my halloween loving heart, i'll be honest. 3. 2 halloween netflix movie picks - tucker and dale versus evil for the wusses out there. it's hilarious and campy and terrible and great all at the same time. and children of the corn for those looking to be scared. an oldie but goodie. and it was filmed in iowa. happy halloween! enjoy your weekend!